Lawrence "Larry" F. Elston, 76, of Heathsville, Virginia passed away on February 4, 2019. He was a retired FBI agent and an Air Force veteran. 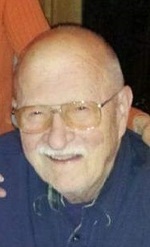 He is survived by his wife, Rebecca Elston; daughter, Kari Beitel (Rick); granddaughter, Claire Beitel; brother, Sidney "Sid" Elston (Darlene); sisters-in-law, Nancy Elston, Colleen Kennedy (Tom) and Claudia Robertson (Robbie); brothers-in-law, Timothy Gordon (Betsy) and Jack Gordon; nieces, Sharon Kiminis, Deborah Elston, Melissa Shepherd, Katie Jordan and Abigail Kennedy and nephew, Brian Elston. He was preceded in death by his parents, Sidney and Hilda Elston ; his brother, Terrance "Terry" Elston and his nephew, Mark Elston. Larry enjoyed building and actually built his home in Heathsville. He also loved to take care of feral animals. He will be greatly missed by his family. Services will be held in Pennsylvania. Memorial contributions may be made to Northumberland Animal Shelter, P. O. Box 305, Heathsville, VA 22473. To send flowers to the family of Lawrence Frank Elston, please visit our Heartfelt Sympathies Store.